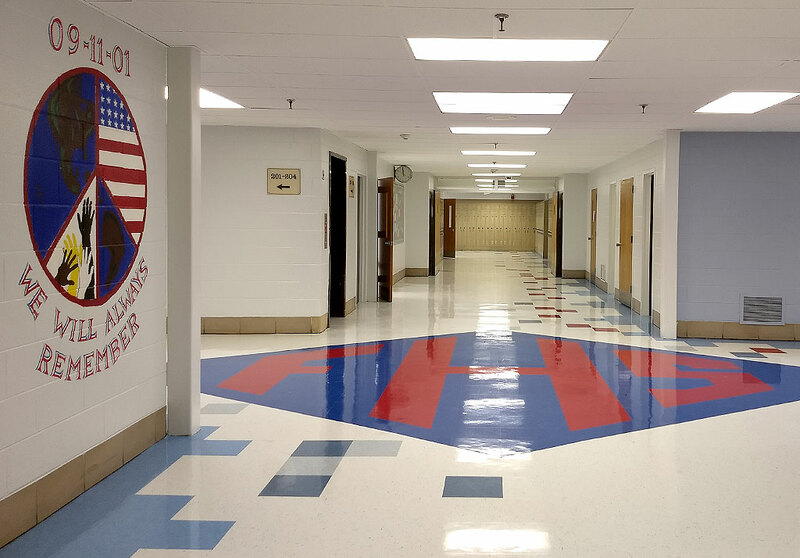 Friendly High School - PRIME AE Group, Inc.
PRIME provided design and construction administration services for a multi-phased, multi-school renovation project for Prince George’s County Public Schools. The projects were completed in multiple phases within fully operational schools. Open Space classrooms were converted to provide permanent visual and acoustical separations between classrooms while updating classroom sizes, configurations, and the connectivity required in 21st century learning environments. Friendly High School Health and Bioscience Academy traditional and lab classrooms were renovated into a modern lecture, lab, and simulation training suite. The simulation labs included a medical office suite, 6 phlebotomy station labs, 10 exam table station labs, and a demonstration restroom lab. Each sim lab is fully functional, and the phlebotomy lab is utilized for school and community blood drives. A high-tech lecture space anchored the suite and is used for traditional learning situations.